Zillow study shows renters & landlords don't understand basic rental laws. I found this research study completed this year by Zillow to be fascinating. With over 100 million renters in the US, it appears that 1 in 2 renters lack a basic knowledge of landlord and tenant laws. Surprisingly enough, even 50% of landlords lack the same basic knowledge! As many as 82% of renters and 76% of landlords reportedly do not understand the laws surrounding security deposits and credit/ background checks. Take this fun 10 question Zillow Quiz designed to test your Landlord & Renter IQ. What did you score? Whether you are a tenant or a landlord, it's imperative that you develop an understanding and abide by all regulations set forth by all the bodies and ordinances which govern landlord and tenant laws. Just a few of the regulatory bodies you must consider when leasing your home! As a professional property management company, our job is to continually monitor, learn, and comply with all national, state, and local laws that affect the housing market. Because we are not attorneys, we have a team of real estate attorneys on retainer to help us when we are unsure of how to interpret the lengthy laws. 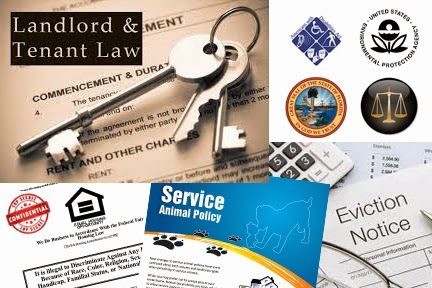 Are you a Florida landlord or interested in becoming one? Realty Masters of FL~ #1 in Pensacola Rental Homes! Thank you~ Enjoy your day and check back with us for more great information on the Pensacola area! ZIP CODES: Pensacola, FL and surrounding cities! Dog Beaches open on Perdido Key Beach! Moving to Pensacola? Read this! Dog Beaches open on Pensacola Beach!